Elevation is a very interesting restaurant. Not only does the continual change of the student body help keep the menu fresh but it adds a flow of creativity and ideas that other restaurants don’t find. Each student is developing their pallet and is able to work on their own ideas of cuisine. This combined with the changing seasons and the bounty that summer brings makes this a great time to be cooking at Elevation as well as eating. Hoping to see you all soon. Elevation Bend, we bring Central Oregon to your plate. 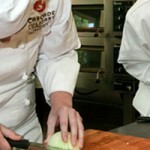 Cascade Culinary Institute is for learning. That is a given. As a chef, I entered into this occupation with my head held high and ready to teach what I have learned through trial and error, classroom work and sometimes dumb luck. I was ready to preach great cooking technique to students of all interests. I was ready to be an educator. I new it was going to feel good to teach others a craft that I love but I did not know seeing the growth of the students was going to feel this great. As a teacher, being in the classroom with these students, some of them 4 days per week for 3+ hours I get very invested in their growth. Moreover, let me tell you, grow they do. At the start, the questions they ask are vague and timid. They know they have a question but they are not even sure what to say. Some intimidated others overwhelmed, some jittery with anticipation. The questions roll in. We are now over half way through the semester and the growth is great. No longer are the students moving around the kitchen skittering about trying to get their Mise En Place completed, they are now calm, composed and focused. They move with purpose around the kitchen, understanding where they need to be and where their cohorts are going. They understand the kitchen and how to make it work. It is like a machine and the students are the moving parts. Some days you drive fast on a winding road and the machine works harder and moves faster, some days it is a leisurely drive through a park and the motor is a low pleasant hum. The questions are now pointed. The students know what they want but my not know the very best way to get there. These are the questions that make me smile. The progress from vague to specific. The questioning each step and striving for better. This is how I know they are ready to move on, ready to go to the next level. Come on in. Experience Elevation Restaurant at its best, right now. The past few days surely felt like summer. Waking up early in the morning to get out in the nice crisp air. Spending my days in the kitchen (Thanks to the great new building I have gigantic windows to look out from). Having the students create great new dishes and perfect our old. So what is in this for you, you may ask. Well ill tell you. The SUMMER MENU. Eagerly anticipated and much talked about. We are working on bringing you summer on the plate. Tonight we débuted the summer beat salad. What says summer to you? To me, I know it is right around the corner when the little lambs start showing up in the fields. So we have some fresh Juniper Grove Chevre. Spring flowers create our great summer honey. Beats start to ripen, and how could we ever forget, Cherries! Cherry season is the heart of summer. We combine these into a dish. Our roasted beat salad, honey goat cheese and summer cherries. Eating summer soon at Elevation Restaurant. Tonight is the industry mixer. It is our way at Elevation Restaurant and Cascade Culinary Institute to let the local food service industry know that we appreciate their hard work and that our student are gearing up to become part of this vibrant community. Hospitality is what drives us and what better way to show it than to share our passion with the community that we aim to feed. (Pun intended) Well of to work. We have so many students so excited for this evening. Enjoy Bend! See you at Elevation soon. Tonight we are partnering with Central Oregon Locavore to showcase Rainshadow Organics-a local farmer who supplies us with wonderful produce, pork, and flour. For tonights dinner, we are preparing some great things including Porchetta (roasted pork roulade with hers and garlic) and hand made past from the flour that this farm provides us. 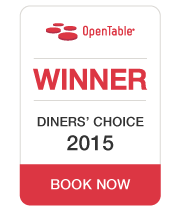 We are very excited to be presenting these dinners. We love our local farmers! At Elevation, our menu is based on seasonal, local, sustainable ingredients. We rely heavily on local farmers and producers for our ingredients-from salad greens to the pork that we use for our charcuterie. Sometimes, especially in January or February, it’s a little bit tough to find some these items that make our menu unique. Why do we go through all this trouble? Because we believe not only in providing our guests with the best, we beleive in educating our students about great ingredients and where they come from. Students are educated about the real “dirt” when it comes to finding great souces for quality ingredients. At Cascade Culinary Institute we are very passionate about sourcing local and talking about it. Fantastic things are happening at Elevation. Our new menu reflects some of the great tools and techniques that the students here at Cascade Culinary Institute get to use. The roasted bone marrow is exceptionally good-pairing the flavors of bone marrow, blood orange and juniper berries…Delicious! The sous vide short rib is another example. We cook these for 48 hours at 140 degrees- this makes them so tender, they melt in your mouth. The students have found their “Sense of Urgency” and are learning in a real world restaurant environment. It is the first day of Winter term. The Elevation kitchen and dining room are ready for a new group of Capstone students to prepare and serve a brand new menu to their guests. This blog will serve as a place for the students and instructors of the Capstone class and Elevation restaurant to share stories of their journey.